The Cirque du Litor shelf road connects the famous cols of Col du Soulor and Col d'Aubisque in the French Pyrenees. These two climbs are commonly featured in the Tour de France, as they will be again in 2012. The Cirque du Litor happens to be one of my favorite places to be on a bike. The views are incredible, and on each side of this passage, cyclists may relax at cafes. 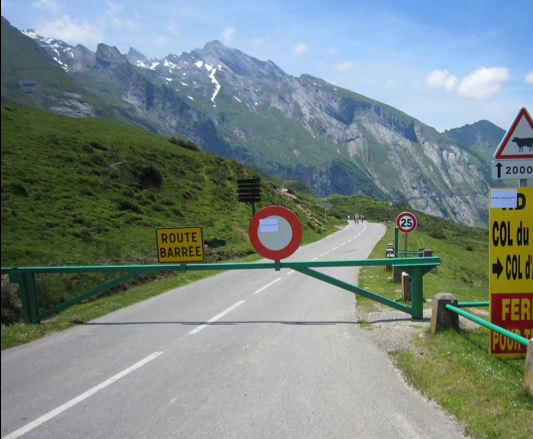 Getting to this road is worth every bit of the 8%+ climbs of the Col du Soulor and the Col d'Aubisque, or from the third option - the climb from the town of Ferrieres. I hope upon your arrival you do not find the gate down as it was when I arrived one day in June 2010. The road is closed during times of repair and during winter months (December-June). On this occasion above, the road was closed to remove gravel in preparation for the Tour de France. Don't worry I came back a few days later and rode it twice. Now you know where this well known image, often shown in Tour de France photos, is located. 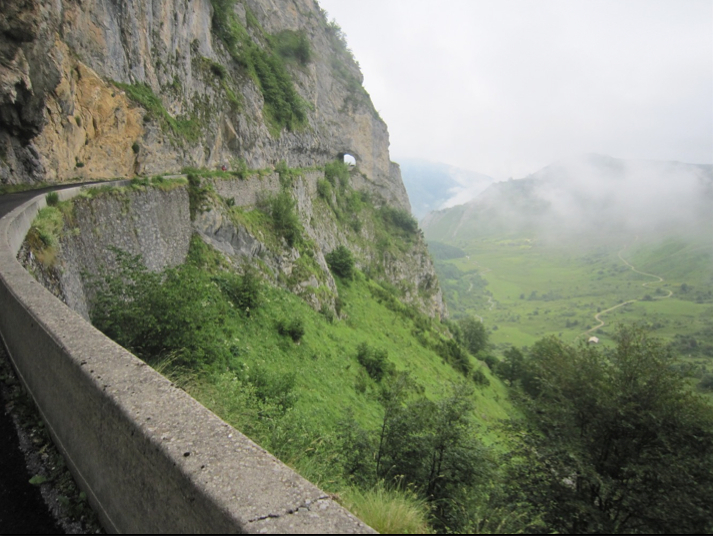 This scenic tunnel below is on la Corniche du Cirque de Litor between Col du Soulor and Col d'Aubisque in the Pyrenees. The piazza is an urban open space in late Medieval style architecture dating from 1280 to 1350. 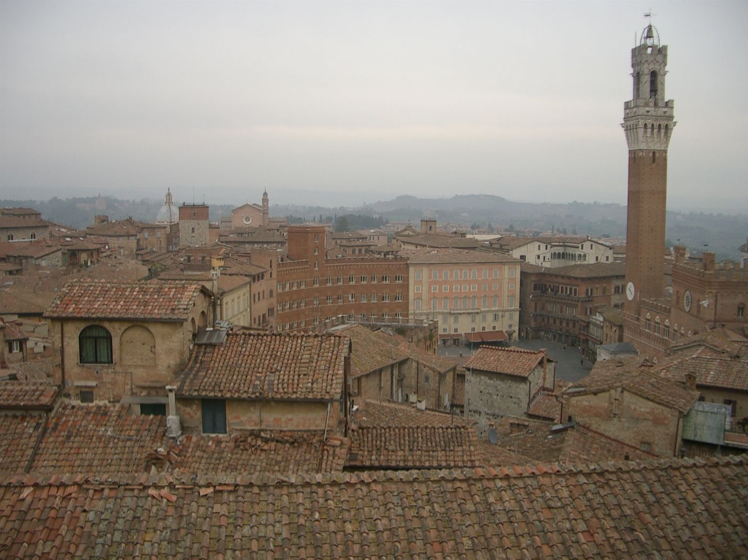 The Piazza del Campo is a UNESCO World Heritage Site and one of Italy's most visited tourist attractions. 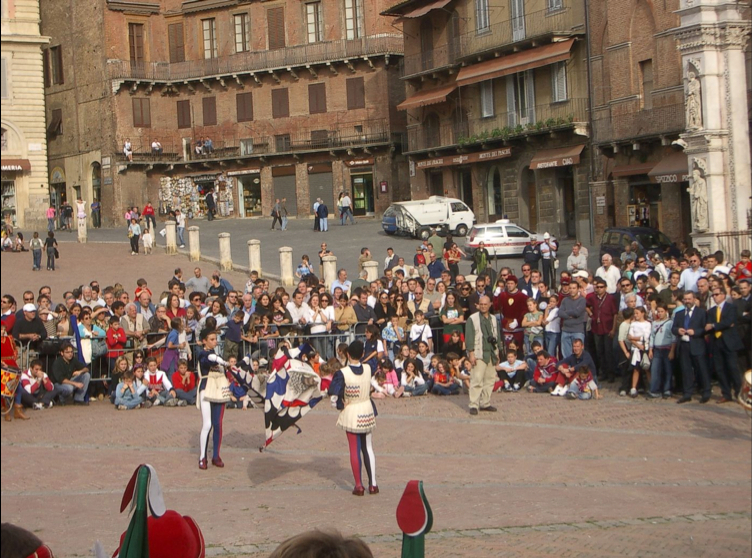 Every July and August Il Palio horse race is held in the piazza, in which horses race around the brick square. 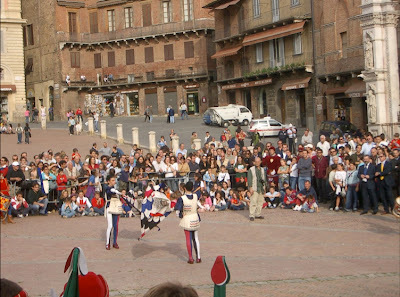 The Palio is preceded by the Corteo Storico (passeggiata storica), the traditional parade of drummers and flag twirlers. Flag twirlers often delight tourists in the square throughout the year. 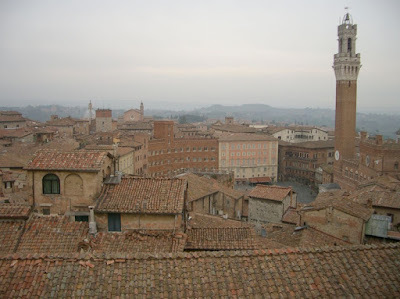 If you are cycling in Tuscany (Toscana), make a point of visiting Siena in the heart of beautiful Tuscany, a 1'15"drive south of Florence, Italy. 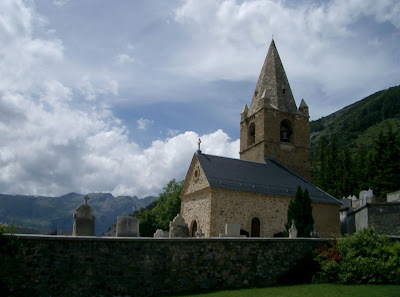 Any cyclist who has climbed Alpe d'Huez knows that the site of this chapel means you are nearing the top of the climb. It is a landmark well remembered. The name of the picturesque chapel is Church of Sainte Anne and is located in Huez Village at 1450m. The church still offers services on the first Saturday of every month at 4.45pm. There will be a Saint Anne's Feast Day on Satruday 28 and Sunday 29 July 2012. The festival is organized by Huizats (the inhabitants of Huez, I just learned that term) to honor the patron Saint of Huez (their historical village on the slope of Alpe d'Huez). The festival includes painting stained glass, trout fishing, a meal in the countryside, a ball, a traditional costume parade, a boot fair, and a mass. Usually cyclists ride right by this small chapel and town, en route to conquer l' Alpe d'Huez's famously sign-posted 21 hairpin turns. I believe the chapel is at corner #7 (leaving six more corners to go to the top). Signpost #21 is at the bottom, when you see signpost #1, start celebrating - you have climbed Alpe d'Huez! This cyclist will give you a play by play of every turn on the climb. To learn more about the signs on Alpe d'Huez, which list every past stage winner, on Alpe d'Huez, in the Tour de France, read an earlier Pedal Dancer post: "21 levels of hell", or 21 steps to heaven. Discover whose name is on which sign.